ASIA's Number 1 Property Guide. 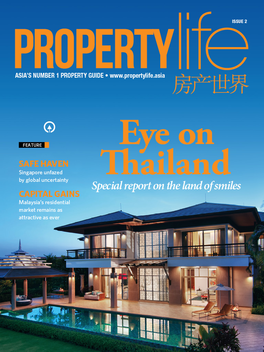 Property Life is the only magazine in Asia dedicated to consumer property. Each issue offers a new perspective on the current global property market and how to go about buying it.Subscribe now to Property Life for twelve months.-Buy single issue for 1.99 US$-Subscribe for twelve months for 2.99 US$ – Payment will be charged to your iTunes Account at confirmation of purchase. – Subscription automatically renews unless auto-renew is turned off at least 24-hours before the end of the current period. – Account will be charged for renewal within 24-hours prior to the end of the current period, and identify the cost of the renewal. – Subscriptions may be managed by the user and auto-renewal may be turned off by going to the user's Account Settings after purchase. – No cancellation of the current subscription is allowed during active subscription period. Any unused portion of a free trial period, if offered, will be forfeited when the user purchases a subscription to that publication.